In her impressive debut collection, Forgetting English, Midge Raymond sets her stories in a variety of locations outside the continental United States. How many other collections can you think of that contain eight stories spanning four continents: Africa, Asia, Antarctica, and North America (mainly Hawaii)? Alongside personal, human histories, Raymond incorporates larger traditions. Marriage rites. Fertility symbols. The meaning of jade. The natural history of the penguin. I have known about Midge Raymond‘s work for several years. When we were both living in Boston (it appears that she has since lived and worked in San Diego and Seattle, and I’m now in New York City), it sometimes seemed that I was always seeing her name in print. Especially, it seemed, I was seeing her name listed for having won contests that I, too, had entered. In fact, it was thanks to a contest that I once had the opportunity to meet Raymond. We’d both been invited to read at a Somerville bookstore (she had won a locally-based contest, and I had received an honorable mention in the same competition). I told her, then, how much I’d appreciated and admired another one of her stories, “Anodyne,” which had won another contest we’d both entered. Her work was excellent, there was no question about it, and I was certain it wouldn’t be long before I saw her name on the cover of a short fiction collection. Given this history, I probably shouldn’t have been surprised that once I did learn of the publication of the anticipated collection, it turned out that yet again, Raymond had won a contest (and once again, it was a contest that I, too, had entered). This time, Raymond had won the Spokane Prize for Short Fiction, and the book, published by Eastern Washington University Press, is titled Forgetting English. 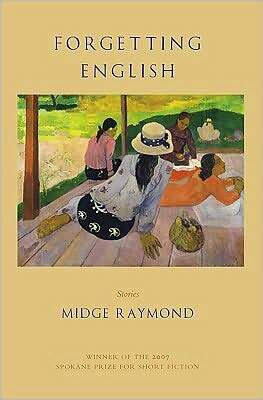 At first, the stories in Forgetting English seemed quite different from what I remembered of Raymond’s work, which brings me to another reason I’m impressed with her writing. Unlike the pieces I remembered, these stories take place in a variety of settings outside the continental United States. How many other collections can you think of that contain eight stories spanning locations on four continents: Africa, Asia, Antarctica, and North America (mainly Hawaii)? How many times do you read a book of stories and find within the pages words from languages like Tongan and Chinese (just for starters)? The stories are not “linked” in the conventional sense—characters do not reappear from story to story, although the protagonists do tend to be Americans, and female, and they’re not exactly the happiest individuals you might meet. One of them teaches English in Taiwan. Another is visiting her sister, who has extended a Peace Corps stint to permanent residency in Tonga. Still another is working at a remote research station. Some are simply traveling—a safari, a business trip, an anniversary vacation, a journey as the nanny responsible for two kids in Hawaii. Virtually everyone carries baggage—literal and metaphorical. Dramas—big and small—occur in each story, and they are always, as I recalled from Raymond’s other work, expertly handled. Often, when I watch the penguins, I forget I’m a scientist. I become so mesmerized by their purrs and squawks, by the precision of their clumsy waddle, that I forget I have another life, somewhere else—that I have an apartment in Eugene, that I teach marine biology at the University of Oregon, that I’m forty-two years old and not yet on a tenure track, that I haven’t had a real date in three years. I forget that my life now is only as good as my next grant and that, when the money dries up, I’m afraid that I will, too. Alongside these personal, human histories, Raymond incorporates larger traditions. Marriage rites. Fertility symbols. The meaning of jade. The natural history of the penguin. As a debut collection, Forgetting English will, hopefully, introduce its author to many new readers. I am confident that they will be as impressed as I was when I first got to know Raymond’s work. And, like me, they’ll be eager for her next book. Forgetting English is an Andrew’s Book Club pick for June 2009. Buy your copy from a local bookseller via IndieBound (click on the pretty blue logo!) to support independent bookstores and FWR. Visit Midge Raymond’s website; under “Publications,” you can read brief excerpts from many of the author’s published stories. On her blog, Raymond has published a thoughtful reading guide for Forgetting English. Good for book clubs! Raymond worked at Boston University from 1998-2004, and that institution’s Bostonia magazine recently featured an interview with her (focused on Forgetting English). 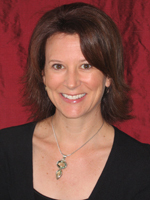 For another interview, check out this one on Diana Joseph’s Syllabi blog. You can listen to the author read an excerpt from one of the stories in Forgetting English, the Antarctica-set “The Ecstatic Cry,” on WritersOutLoud.com. The 2008 winner of the Spokane Prize for Short Fiction is Caitlin Horrocks, for her collection This is Not Your City; EWU will publish the book this fall. 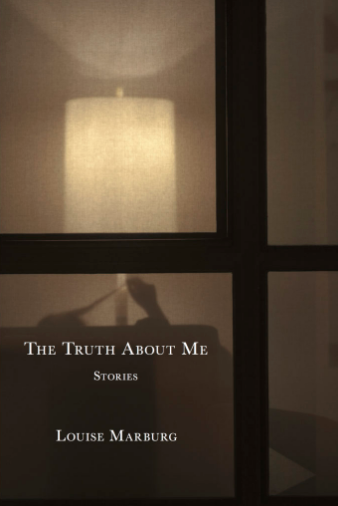 Erika Dreifus is the author of Quiet Americans: Stories (Last Light Studio), which is an ALA Sophie Brody Medal Honor Title for outstanding Jewish literature. Quiet Americans was also named a Notable Book (The Jewish Journal) and a Top Small-Press Book (Shelf Unbound). Erika is a contributing editor for Fiction Writers Review and an advisory board member for J Journal: New Writing on Justice, and she wrote the section on “Choosing a Low-Residency MFA Program in Creative Writing” for the second edition of Tom Kealey’s Creative Writing MFA Handbook (Continuum, 2008). Erika is also the editor/publisher of The Practicing Writer, a free (and popular) e-newsletter featuring advice, opportunities, and resources on the craft and business of writing for fictionists, poets, and writers of creative nonfiction.